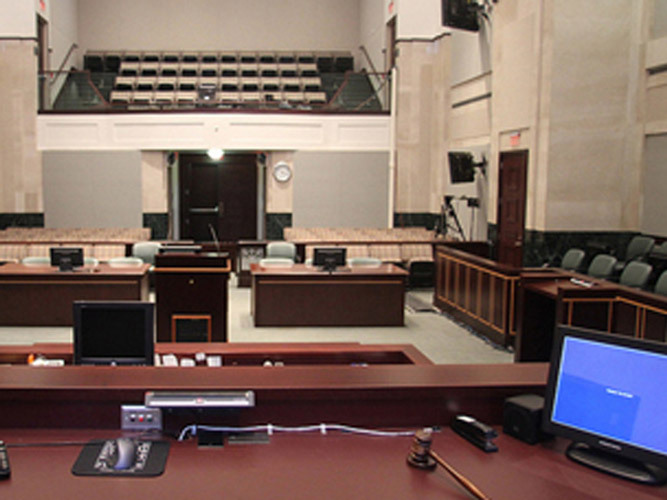 Our Trial Technicians are there to make sure things run seamlessly in your legal proceedings. You can count on us to do the job right – from beginning to end. We have experience handling many different types of cases, and will be there to help your case run as smooth as possible. Our job is to ensure technical difficulties never get in the way of arguing your case. We have set up and presented during proceedings in courtrooms, conference rooms, and countless other venue types across the country. Using state of the art software and equipment, our services are guaranteed to demonstrate whatever your case requires in an efficient and cost-effective manner. We have you covered no matter where your case takes you.